I am not the craftiest person, but I love to try out new arts and crafts. I watch tutorials all the time and I am building up my nerve to try a few new things, one of which is nail art. I have seen some of the most beautiful but simple nails done and wondered where I could find some of the beads and sequins and such that they use in the videos. 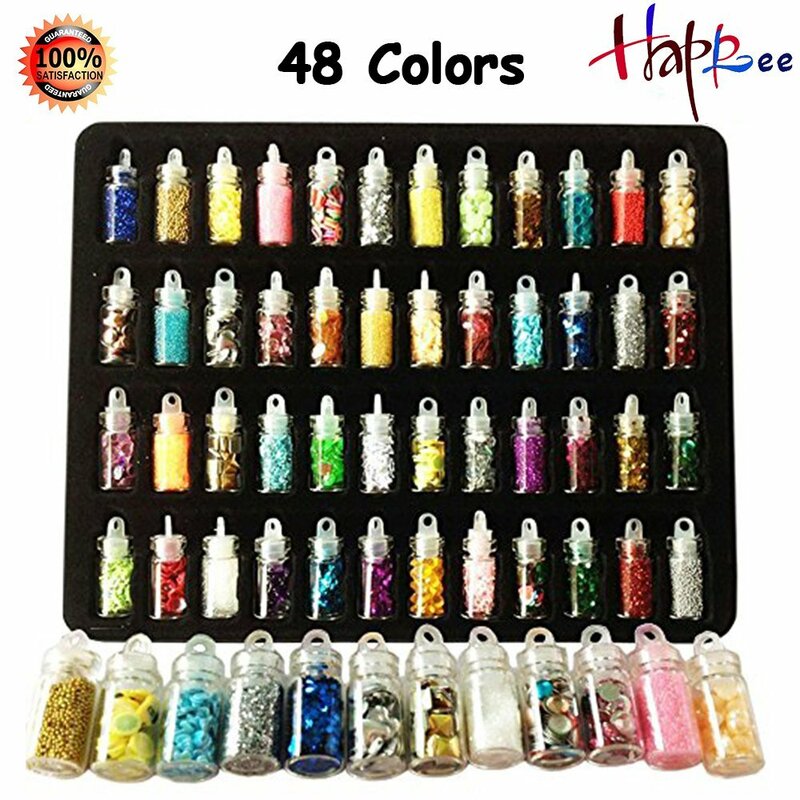 Look no further, Happlee 48Cols Nail Art Set has everything I was looking for, the vibrant colors and a wide array of beads, sequins and glitter. The set comes with 48 tiny bottles all filled with glitter, beads and sequins. I like to keep them in the tray that they come in so I can keep them organized and handy. One of the features that I like most about this set is that it has passed the safety certification. It is 100% non-toxic, so it's safe for adults and children. You don't have to stop at using this for only nail art, it can be used for a variety of other DIY projects such as scrapbooking, Christmas decorations, greeting cards, face and body art.etc.